Philippe had a rich career as a fighter pilot in the French Air Force, assuming many positions both in the areas of operational task and pilot training. He then joined one of the largest European business aviation company where he served as a Captain and Technical Pilot for the Falcon fleet. During his research on the implementation of new technologies, he found that loss of control in-flight was the major factor in air accidents and that the need to improve pilot training was urgent. 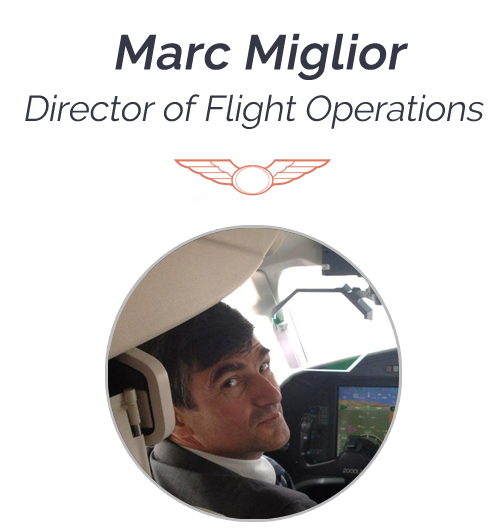 With 8000 hrs experience and a strong motivation to address flight safety issues, Philippe founded ECAIR. He is convinced that improving teaching and training methods could significantly reduce the number of incidents and accidents resulting from pilot error. Marc is a retired French Air Force fighter pilot, with more than 4000 hours in total of which 2000 hours on fast jets. He was a qualified 4-ship leader on Mirage 2000 and on Tornado F3 during his tour as an exchange officer with the Royal Air Force. Holding a degree in aeronautical engineering (ENSICA 87), he also graduated as an experimental test pilot from EPNER, the French test pilot school . He was posted as officer in command of a Control and Reporting Center and head of operational evaluation and deputy commander of the French Air Force operational test and evaluation center in Mont de Marsan. On top of his EASA ATPL he holds FI(A) and CRI(A) TBM 900 ratings and a US licence with IR privileges. He also passed an MCC on FFS A320 and a B737 800 TR. With his management background and aeronautical expertise, Marc Miglior is our Director of operations. David spent over 25 years in the French Air Force as a Fighter pilot. Graduated from the French Air Force Academy, he has performed his operational career flying the Mirage 2000 C and the Mirage 2000-5. In 2002, he joined the EPNER (French Test Pilot School). After graduation, he has been assigned at the Flight Test Center where he has performed system testing, envelope expansion flights and also many Maintenance Check Flights. He has been the EPNER Director for four years from 2012 to 2016, and he is qualified as Flight Test Instructor. He has logged more than 3500 flying hours on 30 different types of aircraft, including more than 1000 hours in test flights. He is now performing some test flights for industrial companies, and he is also FI for SEP class in airclub. 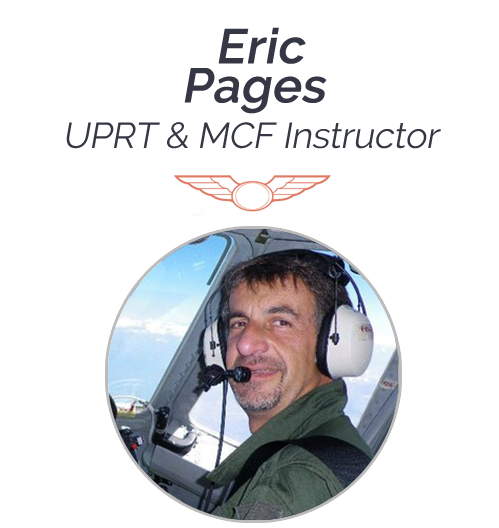 Due to this tremendous aeronautical experience, David is a highly qualified UPRT & MCF instructor for ECAIR. Axel is still on active duty with the French Air Force. Graduated from Fighter School in 1996, he’s been assigned for 8 years flying Mirage 2000 C in an operational air defence squadron before joining the French Flight Test Center in 2004. Graduated from EPNER (French Test Pilots School), he has logged hours on most of the french air force aircraft during Maintenance Check Flights or envelope clearance flights. He has especially flown as PIC on Alpha Jet, Mirage 2000, L39, TBM700, N262, EMB121, Falcon 10/20, S2T Tracker, C160 Transall, ATR72, Beech 200, CN235, PC6 or DHC6. He’s been an EPNER Test Pilot Instructor for two years and the chief test pilot of this school for two more years. He settled down new subjects for experimental students concerning stalls in ATR72, dedicated 4 engines aircraft test flights on A340 and dissymetrical external loads carrying on Falcon 20. 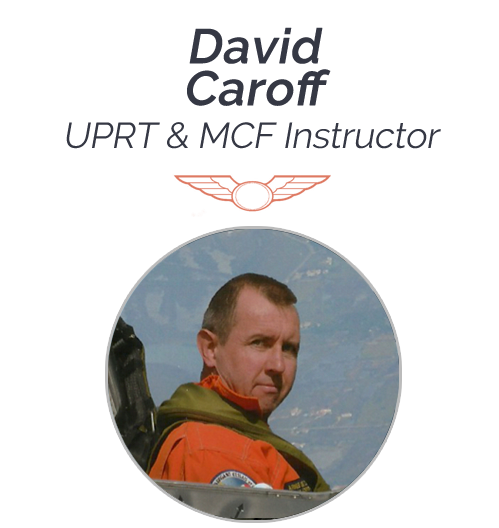 Having accumulating an experience of more than 12500 flight hours on 170 aircraft and glider types among which 2700 hours on jet fighters and over 2000 hours in test flights, Axel is consequently an UPRT & MCF Instructor for ECAIR. Jean Claude is a former military transport pilot who joined the French testing center CEV in 1984 as an experimental test pilot. He has logged more than 12,000 hours and has flown as a test pilot for more than 30 years. During his duty, Jean Claude was instructor at the French Test Pilot School EPNER. 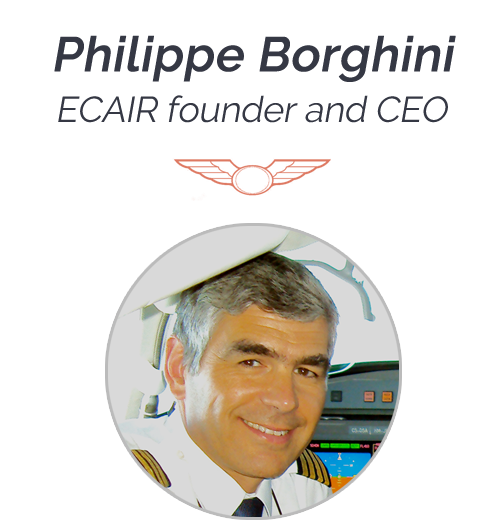 He has acted as Expert Flight & Performance (Panel1) for EASA and also as an accident investigator expert for French BEA. Jean Claude was Cpt on Novespace A300/310 ZeroG. He was in charge of the MCF/FCF for the FAF Wide Body aircrafts. 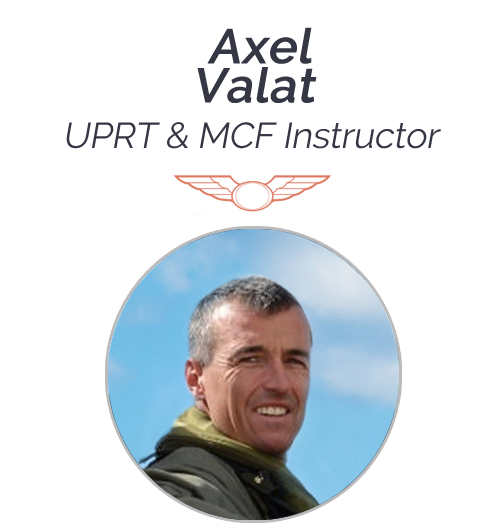 With his extensive experience and expertise, Jean Claude Bordenave is the course director of our MCF/FCF courses. 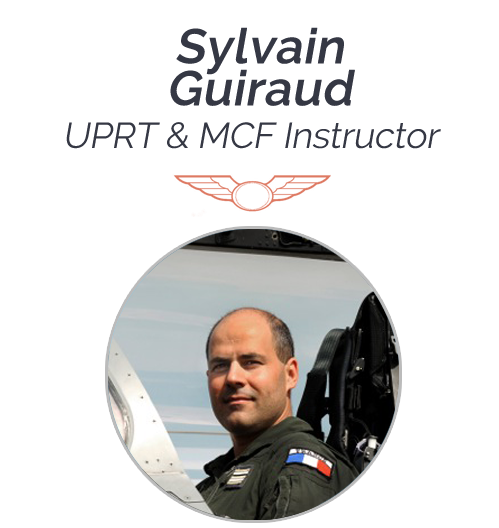 Jeremy has a distinguished Air Force fighter pilot career and became an experimental test pilot Class A and instructor test pilot at the French flight test pilot school: EPNER. He has logged more than 11,000 flight hours (including 3,500 on military aircraft) on over 80 different types of aircraft. He is operating now on A300/600 for Hong Kong cargo airline company. He has performed flight test for an European OEM. He also shares his passion as an instructor FI in flying clubs providing training for PPL, CPL (of aircraft in September and SET classes) and glider. Because of his large aeronautical experience, Jeremy is a UPRT & MCF instructor for ECAIR. Karl spent over 20 years in the Air Force as a fighter pilot before becoming an experimental testing pilot Class B after graduating from the French test pilot school EPNER. For several years he was in charge of the post maintenance test flights for the Air Force testing either Fighter or transport military aircraft. 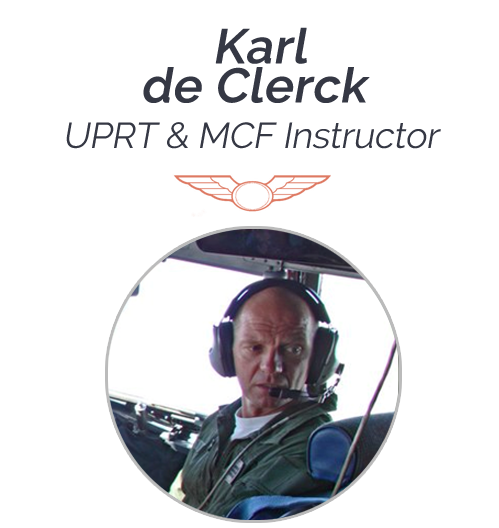 With over 6,000 flying hours in various types of aircraft, he is also an instructor / examiner for PPL and CPL. Karl has a degree in psychology from the University of Clermont-Ferrand and is an instructor FH Part 145 and CRM. He is now flying B737-800 for a European company. Due to his experience and multiple skills in the areas of education and training Karl is a UPRT and MCF instructor for ECAIR. 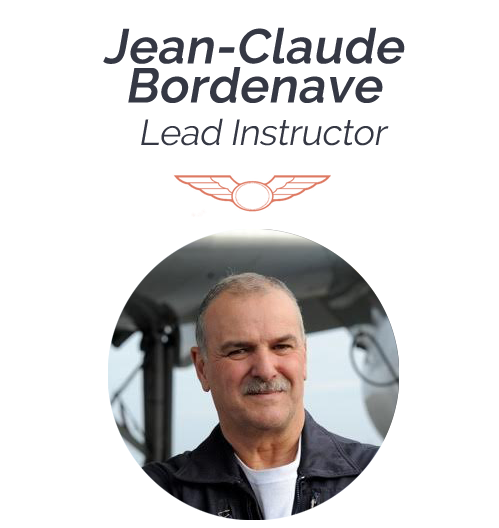 Eric is a former French Air Force pilot and has logged almost 7000 hours of total flight time on different types of aircraft (Fighter, transport and training). He started his military tour as a flight instructor on Fouga Magister, then joined Mirage III and Jaguar operational wings. He became an experimental testing pilot Class B after graduating from the French test pilot school EPNER in 2001. 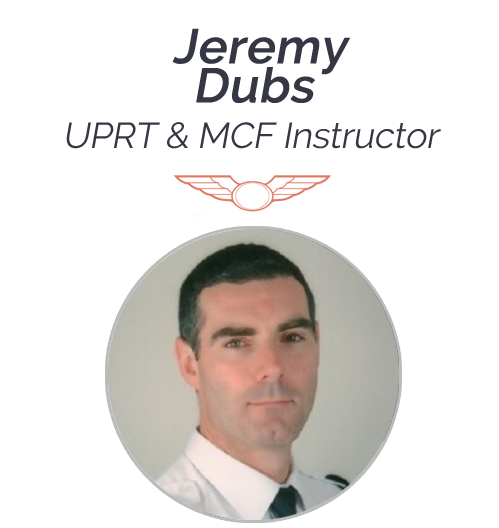 He was in charge of the MCF for CN235 aircraft, Falcon 20 & TBM700 fleet and has been involved on behalf of Thales Airborne Systems in the development of the MELTEM CN 235 program for the Turkish Navy and Turkish Coast Guard. He is now CPL IR ME MCC and FI. Eric is a UPRT & MCF instructor for ECAIR. Sylvain is still on active duty with the French Air Force. He started his fighter pilot career in 1994 flying the Jaguar then Mirage F1. He became a test pilot in 2002 and has been in charge of Rafale evaluation and testing, performing envelope clearance flights as well as system evaluation and qualification for the Air Force. He logged almost 3 800 hours on more than 35 different types including all the French air Force fighters, Falcon 20, Canadair CL-415, TBM700, light aircrafts and gliders. He assumed the charge of Chief Pilot in French flight test centre between 2010 and 2012. He is qualified as a Flight Test Instructor and accumulated 1200 hours in test flights.